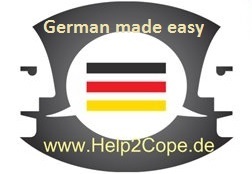 You speak English and want to learn German in Berlin? You live in Berlin and have no time to go to lessons, but would appreciate lessons at home, in a Cafè or at work? You require flexible learning hours to suit yourself? You need to prepare for the B1 exam? You Need help with common, difficult, official paperwork, letters, or accompaniment to Citizen office or appointments/ discussions? ​in offices or companies can also be provided, please contact me to discuss!